Cerebral ischemia causes neuronal death and impairment of brain function. Numerous experimental approaches have been used to elucidate the underlying pathophysiologic mechanisms and to develop pharmacologic means for the protection of neurons against damage caused by ischemia. For the development of neuroprotective drugs, neuronal cell cultures have become widely used tools. They enable researchers to investigate drug effects on neuronal cells without consideration of pharmacokinetics. Primary neuronal cultures as well as neuronal cell lines are employed for such studies. 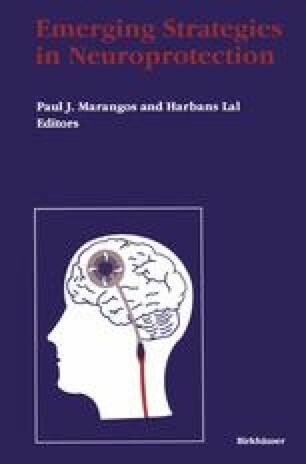 The present chapter reviews the use of primary neuronal cultures for the investigation of neuroprotective drugs. We shall give a short survey of commonly used primary culture systems and their characteristics. Then we shall discuss various possible ways to experimentally induce and measure neuronal damage in these cultures in analogy to ischemic damage in vivo. Several examples of neuroprotective drug effects demonstrated in vitro will be reviewed.